I tend to hunt alone. It's not that I dislike people or other hunters, but instead is based on a number of factors. I find that when I am alone my senses are focused and keenly aware of the hunting landscape around me. The chirp of a bird or chatter of a squirrel are the conversations I prefer to pay more attention to. I further find an inner peace in the solitude of my own thoughts when the distractions of other humans has been removed. Additionally, there is a thrill in the reality that I am all that's there to get me home safe. I am on my own to solve all of my forest troubles and challenges. Despite my general desire for solo hunting, it has not always been this way. On December 22, 2007, I had to say goodbye to one of my favorite hunting partners when he passed away. He was a creature of few words and seemed to understand who I was and let me be who I am. He was always ready to hunt, fearless, rugged, and at times aloof, just like me. We had spent 13 years together roaming the Colorado Mountains and marshlands in search of game and adventure. When I had to say goodbye it was one of the hardest things I have ever had to do. His name was Taz, and he was a Louisiana Catahoula Leopard Dog. When he was with me I never had any doubt that if there was danger I would find him between me and it. I could tell you numerous stories about this magnificent animal, but this article is not about him, it is about his successor. 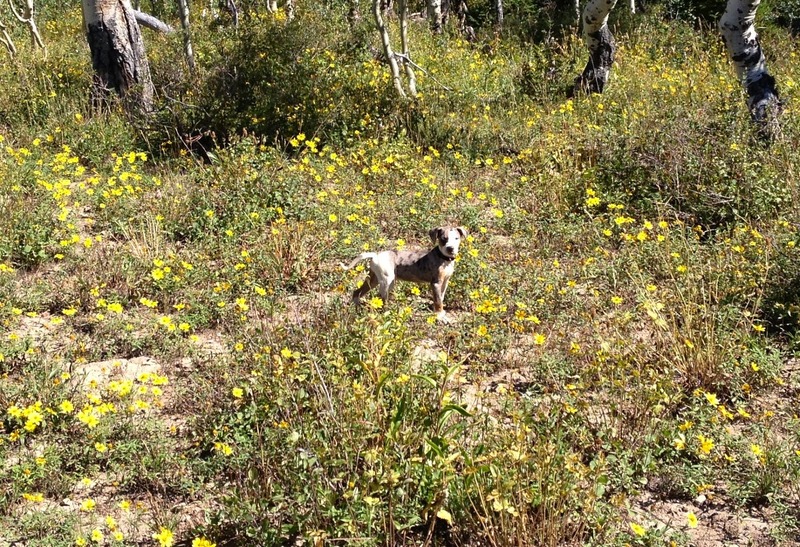 6 years after Taz's death, two of which had been spent hunting mountain lions, I found myself wanting another hunting dog. I was looking for a very specific animal. One who was tough, fearless, and had natural tracking and protective instincts. My thought was to train a dog who could accompany me on my lion hunts. I would train the dog to be able to track prey, and serve as protection should I call a lion in too close. I further needed a dog who would trail silently, as I have no desire to tree lions. I could think of no better breed than another Catahoula. Those not familiar with the breed might have difficulty even pronouncing the name, let alone understanding what kind of dog they are. There is actually a curse in owning one, which is you can not take them anywhere without explaining what they are at least a half a dozen times. My simplest explanation is that the dog is a very old amalgamation of several breeds of canine. I will not expound in detail on this as a I do not feel I have either the knowledge or authority to do so. What I will suggest is if you wish to know more, that you visit the website of the authority on Catahoulas at http://www.abneycatahoulas.com. Here you will find a complete history on the breed, detailed information, and an awesome breeder of them. However, my working description of them is this: There is simply more wild left in this breed than any other I have met. Taz was bred by Don Abney of Abney Catahoula's, and no matter how long I had to wait, I knew I wanted another one of his fine animals. Nearly a year after paying a deposit and being placed on the waiting list I found myself boarding a plane for a whirlwind one-day trip to New Orleans to pick up my new pup. His coat was a blue leopard, and Don had described the dog as "a firecracker". I cared more for his personality and tracking ability than his looks, but in this case I received both. The best comment I have heard that describes his appearance is, "You couldn't paint a more beautiful dog." After several days owning the dog, I settled on the the name "Bohannon." Although my wife insists I should have named him,"scamp," as his can be a little devil at times. In the four weeks Bo and I have been together, we have covered much ground. Our first adventure was 10 days spent hunting deer in the Colorado high country. Bo went everywhere with me, except the tree stand. He learned to swim, how to ride on a four wheeler, walk on a leash, and chew up a grouse. If you ever want a challenge, try living in small pick up truck camper with a 9 week old puppy for a week and half. Since then Bo has entered a training regimen with me to learn how to track and retrieve. He has surpassed all of my expectations and is an absolute natural tracker. I am more convinced he is training me rather than the other way around. In seven short lessons he has progressed to running L tracks that are more than a hundred yards long, with hidden track layers. Bo finds them every time with ease, and it is time to progress to using Lion scent. Even though this is my second Catahoula, I am still astounded at what amazing working and hunting dogs they are. I recently recorded some of our training sessions and made a short video about it. I hope you enjoy it. As I continue to say goodbye to one dog, I welcome a new one into my hunting world. This time my closing thoughts are about friendship, as this is what our hunting dogs are. They grace our lives for such a short fraction of our life span; however, this is the price we pay for the devotion and companionship they give. I will leave the parting quote to Albert Camus; "Don't walk behind me; I may not lead. Don't walk in front of me; I may not follow. Just walk beside me and be my friend." -Albert Camus.